You use the Rotate View tool to rotate the canvas non-destructively; it does not transform the image. Rotating the canvas can be useful for any number of reasons, including facilitating easier painting or drawing. button, or drag the zoom slider. To move the view of an image, drag the proxy view area in the image thumbnail. You can also click the image thumbnail to designate the viewable area.To simultaneously set the size and position of the proxy area, Command-drag in the image thumbnail. To change the color of the proxy view area, select Panel Options from the panel menu. Select a preset color from the Color pop-up menu, or click the color box to choose a custom color. Use the Zoom tool, each click magnifies or reduces the image to the next preset percentage and centers the display around the point you click. When the image has reached its maximum magnification level of 3200% or minimum size of 1 pixel, the magnifying glass appears empty. If only a portion of the image was originally visible, the image zooms out. Drag the zoom marquee to magnify different part of the image. 2 Release the mouse button and then the H key. ❖ With the Zoom tool active, select Resize Windows To Fit in the options bar. The window is resized when you magnify or reduce the view of the image. Choose View > Actual Pixels. 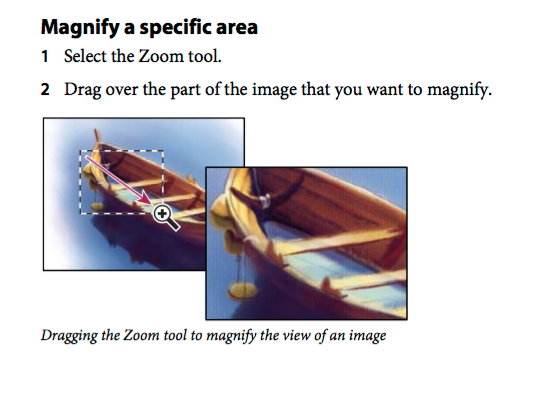 Select a zoom tool or the Hand tool, and click the Fit On Screen button in the options bar. 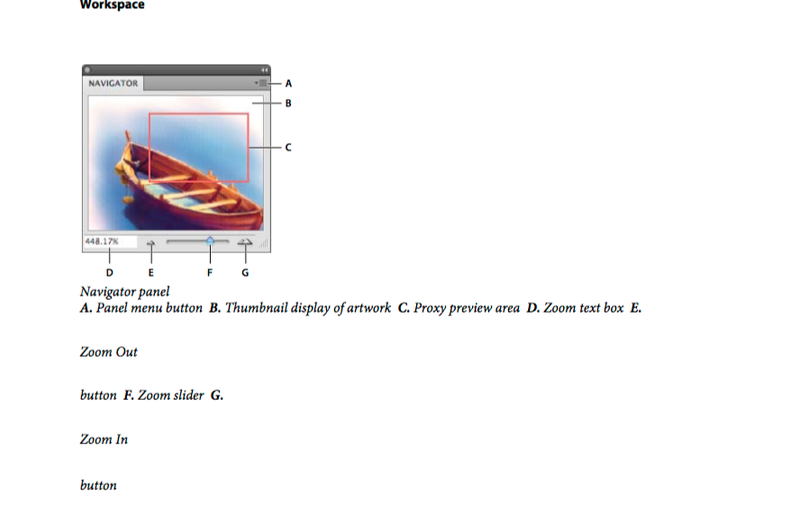 These options scale both the zoom level and the window size to fit the available screen space. ❖ Choose View > Show, and deselect Pixel Grid.